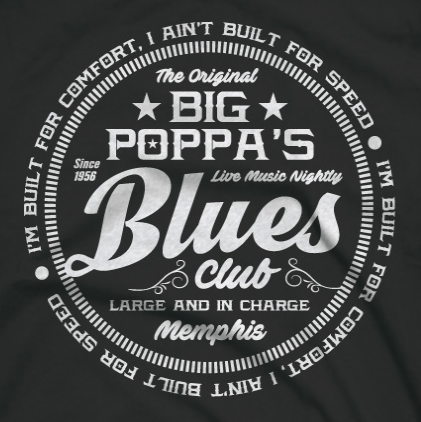 Home/BLUES CLOTHING/BLUES T-SHIRTS/Big Poppa’s Blues Club Shirt – 2X-5X! Front print on a high quality, cotton tee. 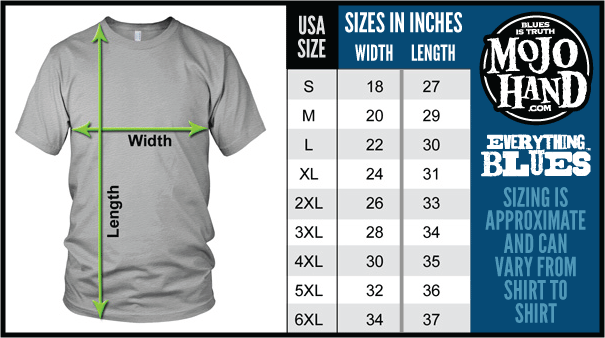 These are for the big and tall Blues fan.. .build for comfort, not for speed !! 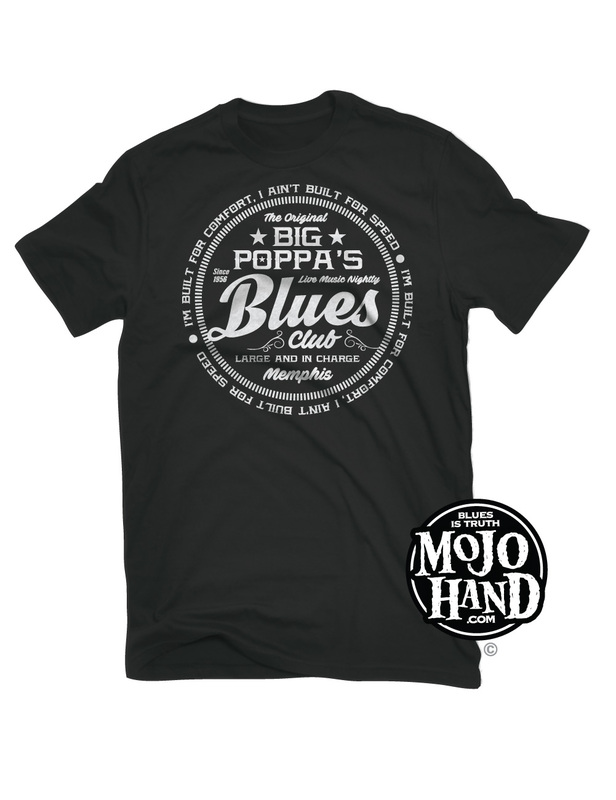 Mojohand Blues tees are often imitated but no one can compete with the quality of my shirts. This is a Mojohand original and exclusive design. Ships Worldwide.